This beautifully restored 110 began its life in Spain. 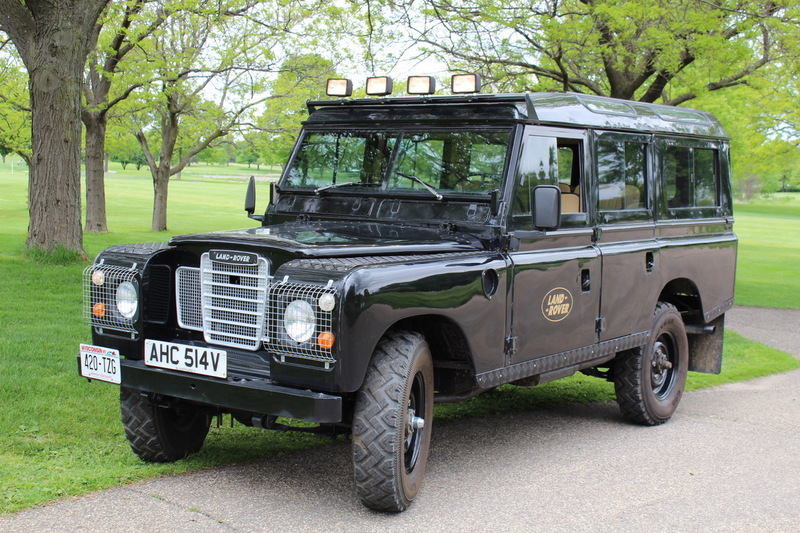 Built by the Santana Motor Company, which in 1962 became responsible for promoting the Santana and Land Rover brands in Central and South American Markets as well as Africa. Because of the harsh working lives vehicles endured in these environments, customer feedback on the range meant that Santana were often far more aware of each model’s failings than the Land Rover company itself was. Because of the tight financial position in this period of British Leyland (which owned Land Rover), Santana were often better placed than Land Rover was to deal with these failings. This meant that Santana began to engineer its own solutions to common problems into the models it produced and thus arose a degree of originality in Santana’s models compared to Land Rover’s original products – a trend which led to the company’s position today. The Santana Motor Company ended its agreement with Land Rover in 1983 but continued to develop its own range of vehicles which remained visually similar to Land Rover’s Series and Defender range. This Defender was lovingly restored in Florida and has been thoroughly inspected by our “Restoration Specialist” here at our authorized Land Rover Service facility and is ready to be appreciated by its new owner.